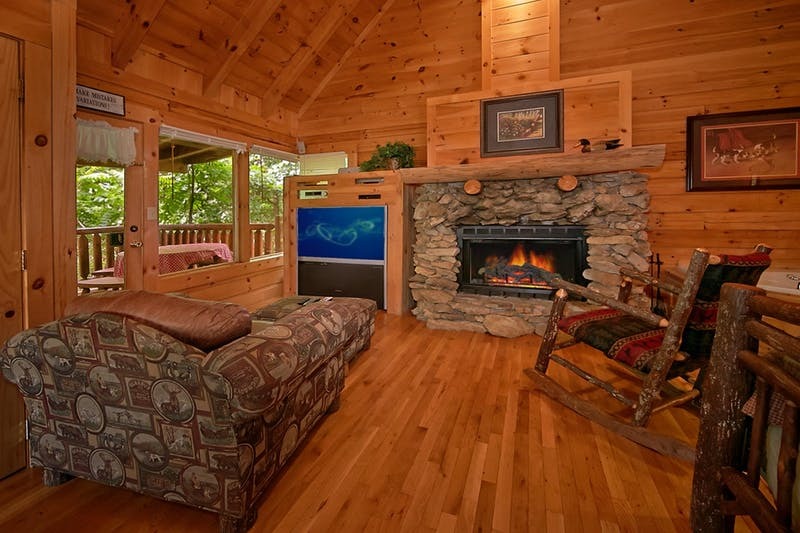 Enjoy the mountain air of the Great Smokies with your sweetheart in the Majestic View 42B cabin. 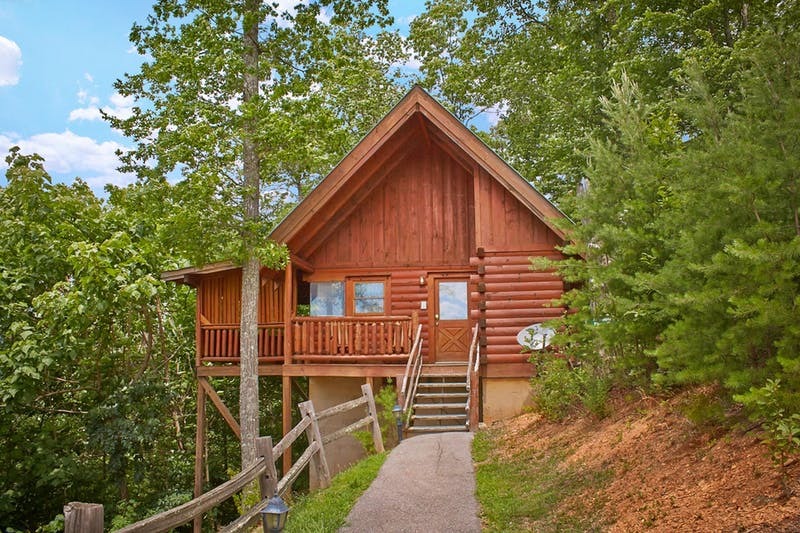 This studio-style, one-bedroom, one-bath log cabin sleeps two, and is the perfect cabin for a couple’s getaway. The cabin features a queen-sized bed, a beautiful stone-stacked, wood-burning fireplace, with a television and DVD player. After an eventful day, soak in the indoor Jacuzzi tub, or head out to the porch to try out the hot tub, or take your glass of wine out to the rocking chairs to enjoy the fresh air. On warmer evenings, take advantage of the charcoal grill and cook up barbecue entrees and enjoy from the picnic table. For indoor eating options, serve dinner at the two-person dining table. For your convenience, the Majestic View includes a washer and dryer, as well as linens for your stay. Guests have access to the community’s outdoor pool during the summer months. This home has WIFI for your convenience. We apologize, but the Majestic View cabin does not accommodate pets.